Our "Standard" Gutter Wedges have a 20 degree Angle. 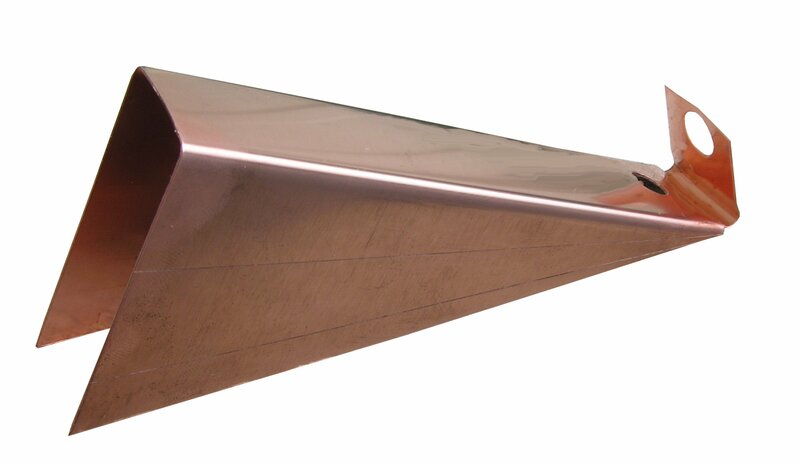 These gutter wedges work well with roof slopes ranging from 3-12 to 4-12. Bottom width of the wedge for 5" is 1 3/4"
Bottom width of the wedge for 6" is 2 1/3"